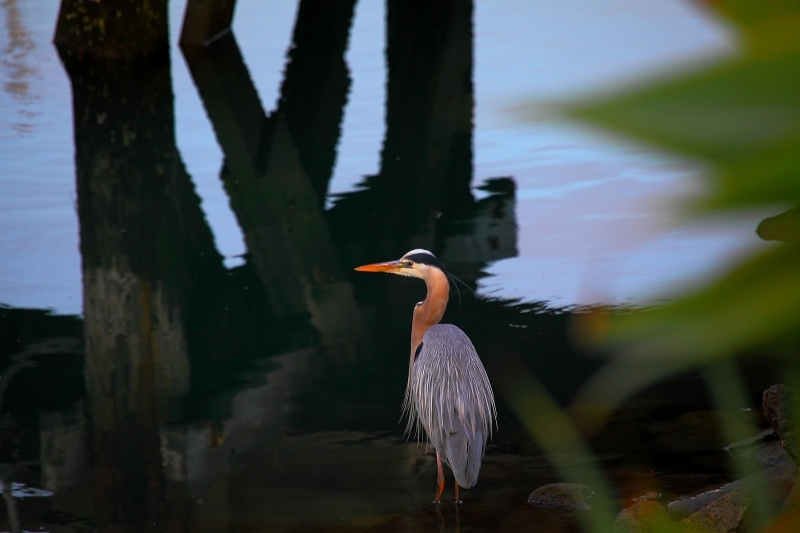 At night Great Blue Herons take refuge on the rocks below the harbor docks. This element represents a male heron awating the dawn just before taking flight. I took this shot hand held with my EF 100-400mm at f/7.1 1/40.